I'm back! Although you didn't really know I was gone. I popped out to California to visit my favorite daughter, and bad weather in the midwest forced me to extend my stay (that's the kind of bad luck that's really good luck). Then I was home a day before popping down to Florida, where the natives were whining about the cold weather, but since it was 60 degrees warmer than where I live, I thought the weather was marvelous. And now I'm back home but barely back in my sewing room because while I enjoyed the change in temperature my sinuses did not. When I have been in my sewing room I've been playing around with some Charley Harper fabric. I'm pretty much copying Cindy Lamman's pattern for this fabric. She came up with the idea of framing the prints that puts the focus on the fun Charley Harper fabric while also creating what looks like a wall of hanging art. Cutting the focus fabric to just the right size and selecting different fabric for my frames has been occupying what little time I've had to sew. But it's been time that I've enjoyed. I'm to the point now that I've decided I need more Charley Harper fabric. I just had a few pieces but like the look enough that I want to continue and make a size similar to Cindy's. This is Cindy's finished Charley Harper quilt. Cindy's blog is Hyacinth Quilt Designs, I'm always thrilled when a new post on her blog pops to the top of my Favorites List. Her latest project is a free pattern she designed that's now on my To Do List, check it out if you happened to miss it. Cindy talks about her Charley Harper project here. And provides the pattern to make the blocks here. Her pattern for the blocks would work for a any fabric that you have in your stash that you've been unable to cut because you wanted the fabric design to not get lost in a quilt pattern. The focus of this quilt is definitely the fabric. New topic old subject - are you still thinking about joining the Go Four It Quilt Along? There are some amazing projects on instagram at #apqquiltalong, be sure to continue to check that hashtag. I've not found much online yet, be sure to let me know if you have a finish, I'll link to your blog or post your picture if you don't blog. Most of the quilters are going with Rainbow Rows and there's a yellow and grey version that I love. 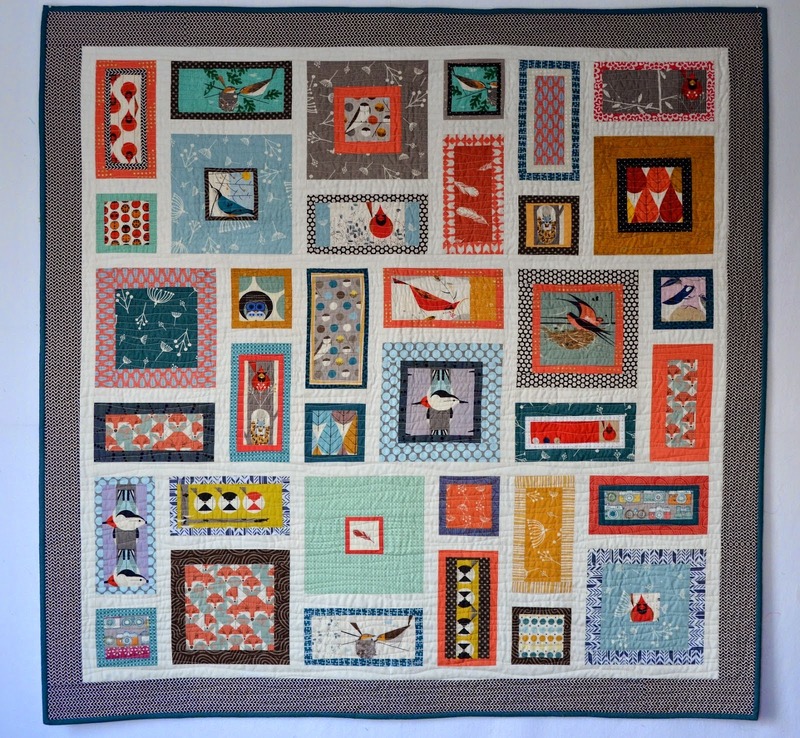 Buried Treasure seems to be the second most popular pattern being made by quilters who are using instagram. 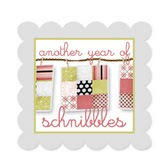 I'm still undecided on my fabric for Scraptacular, maybe something new coming out this spring, I'll keep looking. We're in for another round of snow this weekend, I've been to the store, am caught up the laundry and house work, and am feeling better, guess I'll stay in and sew! Your CH blocks are looking great!! OMG it is still 4 hours till the quilt store opens!!! I love love love this layout and what a perfect way to showcase the fabrics! I love the framed pieces I always love what cute sewing room décor people come up and yes the weather has been bad I live in the country need / have to have 4X4 to get to work then after 9hrs and only having 6 tables (waitress ) all day question my motive oh well I have been getting a lot done quilting my point me granddaughter quilt and almost done and 3 others on the quilting list and more ramble we got a room in Paducah you coming this year? A perfect pattern to feature wonderful fabric! I guess I am way behind-I have not seen this fabric before. it is so pretty and I love the setting! thanks for sharing. Very enticing fabric. I've never heard of it or seen it before. Makes a really lovely quilt in that setting, especially. I am planning on doing the Buried Treasure "go four it" quilt - but as a signature keepsake quilt. I hesitate to mention it at all to anyone yet, because I really want it to happen and I don't want to jinx myself into not getting it going. I have some various charm packs of different Bella Solid neutral shades coming in today or tomorrow to audition with my fabrics. Have a warm weekend! I have been collecting Charley Harper fabric also to make that quilt. I LOVE LOVE LOVE Charley Harper. The only piece I haven't put my hands on yet is the Octoberama Blue. I need to lay out my fabrics and cut my squares so I can see what I want to border them with. Thanks for sharing! I don't believe I have ever seen any Charley Harper fabric but it is adorable. What a fun quilt you and Cindy have going. 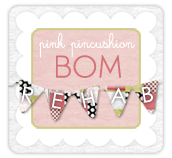 I'll pop over and visit Cindy's blog, thanks for sharing the links. I love Charlie Harper fabric but we don't seem to carry it here on the east coast, Drats! Typically only via ebay and when a quilt shop shares some for sale. This is really cool. Congrats, I read that your Carolina Lily got accepted for Paducah! I know you will win a ribbon!